Sorry for the minimal contact from the rescue staff. We are closing in on a record year and we are only half way through. I have asked my Sunday volunteers to put together a blog for you. I hope you enjoy it as much as I have! We will try our best to get you all caught up on the happenings of the rescue team over the past few weeks. Lot's of stuff to write about! The last couple of weeks have been very busy here at the Rescue Rehab unit. 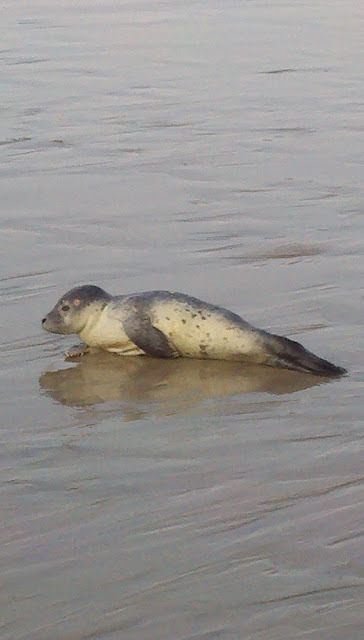 There have been many seal pups making appearances at popular beaches in Massachusetts and New Hampshire. Seal pups who have been weaned from their mothers are now hauling out on the warm beaches to rest and relax. With the summer season in full swing, there is higher chance that the pups will haul out in a heavily populated location. As seals are semi-aquatic and solitary mammals, this is a normal and healthy behavior. It’s not uncommon for a seal to remain on land for several days or haul out repeatedly over a short time period. If a seal is reported to the New England Aquarium Hotline (617) 973-5247, the Rescue Rehab Team and/or Rescue field volunteers travel to the site to monitor the animal's health and educate the public. Here we are educating the public. 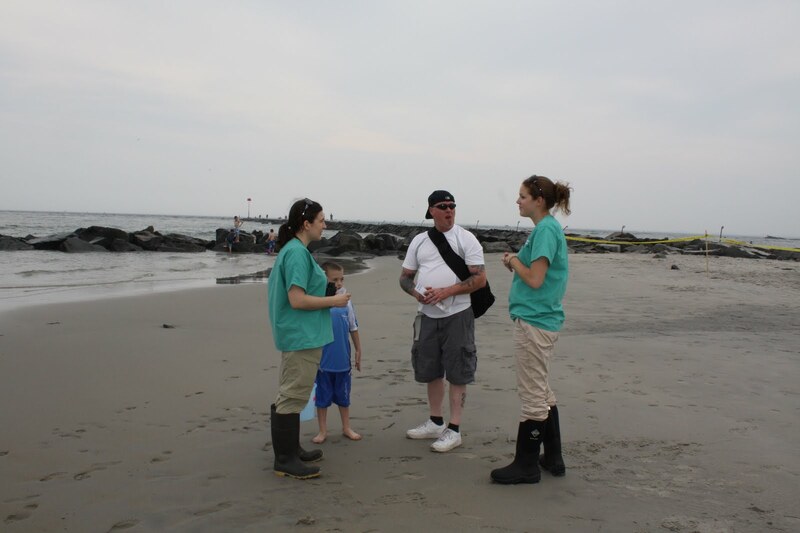 Another very important part of the Rescue Team’s job when responding to an animal is to educate the public. Federal Law states that “disturbing, harassing or injuring seals is illegal under the Marine Mammal Protection Act.” It is very important that the public knows not to treat the seal like a domesticated animal. This includes but is not limited to feeding, touching, or approaching the seal. When pups are weaned from their mothers they are opportunistic feeders and if the pup is not yet weaned and human interaction occurs, the mother may abandon the pup. The most helpful thing you can do for the animal, regardless of the animal’s condition, is to stay at least 150 feet away from the seal and call the NEAq Rescue Hotline (617) 973-5247. It’s quite a privilege to see a seal on the shore so enjoy your day and be sure to watch the seal from a safe distance.